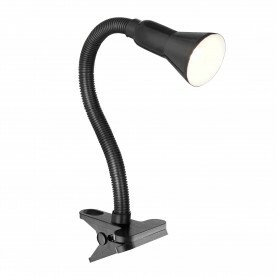 This retro, angled Hobby table lamp is styled on an iconic design and powder-coated in a shiny black colour. 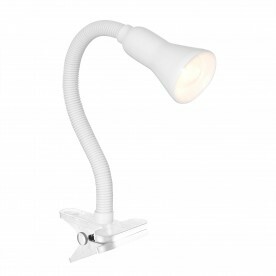 The hinged base, central column and cylindrical shade are fully adjustable, enabling you to direct the light just where it is needed. 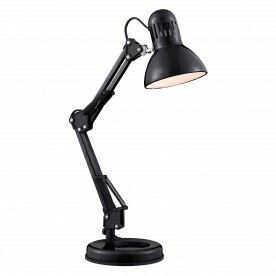 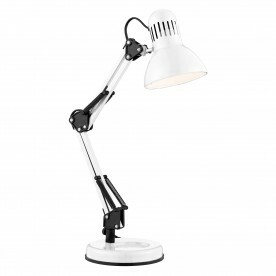 Ideal for use in a study room or a childrens bedroom, contemporary desk lamps don't get more desirable.